Fortunately in this modern era for us prog fans, there is plenty of interest in not only new and upcoming Italian progressive artists, but for reissued, rare and even previously unreleased vintage RPI albums and acts. The self-titled release from band Kundalini Shakti Devi, the work of Roberto "Paramhansa" Puddu and the musicians he assembled to compliment his musical vision, is reason to celebrate amongst RPI followers, one that dates back to 1974 but never saw the light of day until now. Dusted off and released in both a lavish vinyl and mini LP CD package, the work is sure to please Italian prog fans, with it's mix of varied, passionate vocals, light jazz arrangements full of sax/flute and spacey synth passages. Never too in debt to one band, either Italian or worldwide, but incorporating little elements from numerous tasteful sources and still coming up with somewhat a very typical sounding RPI album that proves very rewarding upon repeated plays. Certainly one of the strongest assets of the album is Roberto's lead vocals - commanding, mocking and frantic one moment, crooning, playful and affectionate the next. He occasionally reminded me of Ange's Christian Decamps, although I'm not sure if the French band was a direct influence. The 19 minute opener `Flash' starts the album in a proud epic prog manner, and although the flat production make it sound a little plodding in some sections with a few flat spots, there is plenty of variety overall, and repeated listens reveal a greater sense of flow throughout the piece. A commentary on consumer and celebrity culture, sadly even more relevant today, much of the track has a slowly brooding and melancholic mood, perfectly presented with some somber flute, snarling electric lead guitar fills and especially the sinister eerie synths at about the 13 minute mark. But it's not all gloom and dark drama, there's numerous more upbeat reflective contrasts, especially Roberto's perfectly restrained sax playing, and fans of the jazzier prog bands will love an extended instrumental passage about 6 minutes in with some definite Canterbury flavoured fuzzy keyboards, Steve Hillage-like guitar and whimsical darting flute drifting through the dreamy hazy atmosphere. Even better is `Museo Galattico', opening with a nice extended five minute dark, creeping and malevolent instrumental passage with spacey Novalis-like drawn out keyboards, far away smoky jazz sax over a pumping repeated bass line and wistful flute floating around the background. You'll find moments of snapping schizophrenic Banco-like unpredictability, fusion period Soft Machine electric guitar runs, and lightly jazzy foot-tapping catchy Caravan-like playfulness. Then a romantic and sweetly crooned vocal with triumphant sax solo from Roberto in the second half over spectral glistening pulsing synths similar to Sensations' Fix before a quick reprise that perfectly brings all the previous sections back around one more time. `Sensitivita' closes the album with a very disorientating and lyrically surreal piece, and there's a hint of danger to much of this one. A marching rhythm, spiraling guitar runs, Genesis-like organ and chanting wordless harmonies from Roberto advance the music in urgency and tempo. The band really show their tight jazzy chops throughout this one (some really great snappy drumming and purring bass especially) and like much of the album, there's all these fiery little tasteful electric guitar fills, more of those long drawn out washes of Novalis-like synth notes, unhappy, thought- provoking sax, and hypnotic Van der Graaf Generator unease before it all finishes on a noisy jazz/fusion meltdown not unlike something Perigeo might have done. One thing to point out straight away - the album is quite lo-fi, more resembling a rough demo or average quality bootleg. Some listeners have already pointed this out as a severe problem with this release, but I've certainly heard plenty worse, especially on some of the vintage Mellow Candle archive compilation releases. This one maintains the same level of audio quality all the way through, so at least it's consistent. 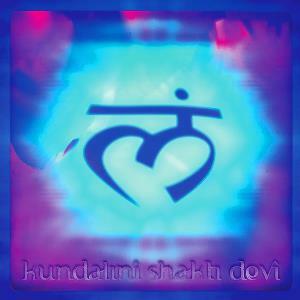 `Kundalini Shakti Devi' is a fine addition to an RPI collection, one that improves greatly with each additional listen, but newer fans just starting to approach the genre should pick up endless more exciting and important albums than this. It still makes for a very worthwhile listen, and, seeing the current trend of numerous vintage Italian prog acts recording new albums, lets see if the band might get around to recording a follow-up to this one - better late than never, and there's too much talent and unfinished potential here to go to waste! Three and a half stars, bumped up to four.